Our helpful staff is more than happy to help you with choosing your lottery tickets in Hickory, NC. Everyone dreams of having financial security, and winning the lottery is definitely at the top of most people’s wish list for making that happen sooner rather than later. The thing is, you can’t win if you don’t play. Buying a few lottery tickets is the only chance you have, even if it isn’t the greatest odds. Someone is going to win, so why couldn’t it be you? It used to be that there were only a couple of types of lottery tickets offered. Now that there are lots of them, it can feel a bit overwhelming. It doesn’t have to be, though. Come see us at Cubbard Express, where our helpful staff is more than happy to help you with choosing your lottery tickets. We have numerous locations in Hickory, NC and the surrounding area, so we are likely on your commute, making it easy for you to stop in and get some lottery tickets. It is a lot of fun to watch for the winning numbers and think about what you’d spend the money on if you won. 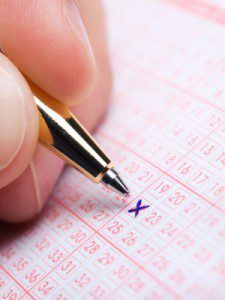 While buying lottery tickets is nobody’s idea of a sure-bet retirement plan, it certainly is nice to dream about walking into work the next day and giving your two weeks’ notice. Lottery tickets change from time to time, so it can be fun to come in and see what’s new. There are different ones based on how much you want to spend and how much of a payout is possible. We love to see our customers win on tickets– even small winnings are cause for excitement!